A new year filled with new possibilities! I am eagerly looking forward to what this year holds for Extreme Community Makeover as there are exciting opportunities ahead, which I will share as they unfold. Until then, one of my goals for this year is that we can build a neighbor to neighbor movement that begins on the Work Days and extends beyond the projects as connections are made and relationships formed. I would love to connect with you sometime to hear about any ideas you have to participate in reaching that goal or to see how you would like to be involved in ECM. You can show up at any of the upcoming events mentioned in this message or give me a call and we can talk more. Looking forward to a great year! Have you ever thought about being involved in an organization through serving on the board? 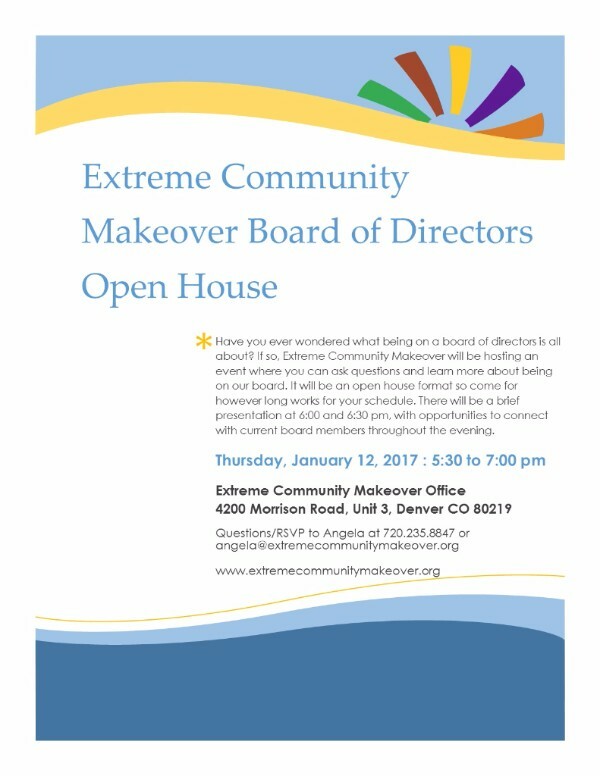 If so, we will be hosting an open house event on Thursday, January 12 between 5:30-7:00 pm at the ECM office (4200 Morrison Road, Unit 3, Denver, 80219), where you can ask more questions about what the Extreme Community Makeover board of directors is all about and how you can get involved. There will be brief presentations at 6:00 and 6:30 pm, with the rest of the evening being an open time to ask questions of current board members and staff. 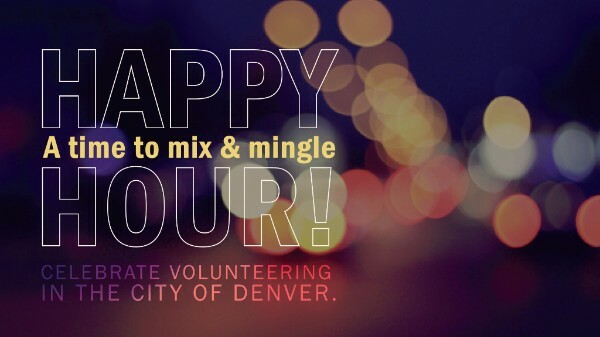 It’s time for the first volunteer happy hour of the new year! Mix and mingle with others interested in volunteering, while learning more about the ways to volunteer through Extreme Community Makeover this year. Join us on Wednesday, January 25 at Interstate Kitchen & Bar between 5:30-7:00 pm (1001 Santa Fe Drive, Denver, 80204). RSVP here. The group of people who are most instrumental in helping each of our Work Days run smoothly is our Extreme Teams volunteers. This amazing team of people gives so much time and effort toward using their skills to make a difference through ten different teams. Learn more about each of the teams here. You can find more details about the expectations for getting involved here. Or you can come to our volunteer happy hour on January 25 to learn more then. We would love to have you on the team!